Well, Web is Awesome. There are huge lots of stuff you can do. Listing them is, well, something impossible. But how about looking at the web in a really different manner. You can socialize, watch videos and also do various "personal" things. I mean in the web, there is Facebook, Instagram, Blogger and then there's Chrome Web Lab. Sketchbot, Teleporter, Web Orchestra and Data tracer! Everything is awesome in its own way. The Sketchbot draws picture of your's through a robot connected to the internet! 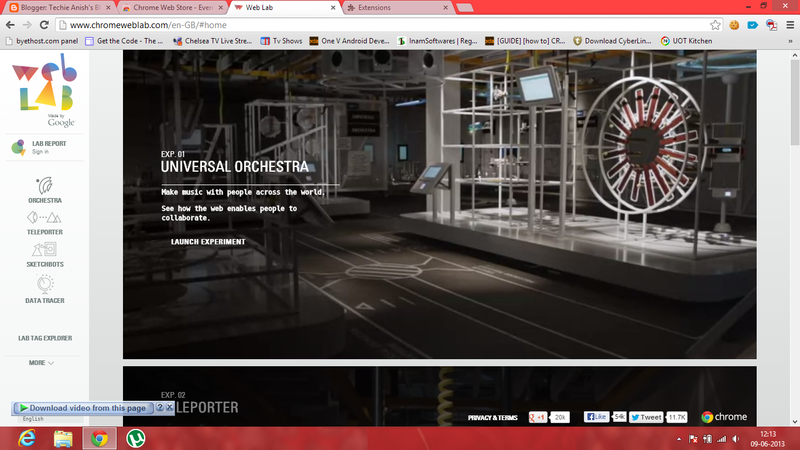 Orchestra lets you create music with people around the world. Data Tracer gets you info about how the data transmits over the internet!